So I've got a few isos to work when booting from a pendrive with Easy2Boot, but I'm having some issues with getting to the install screen/script/session/whatever of CrunchBang. Unlike Ubuntu (and possibly other distros), CrunchBang doesn't have an install script/app that you can run graphically when in the live session, the only way to install it is to use an entry from the menu that pops up at boot (looks similar to grub). This works well if you install from a pendrive that's been written with only the CrunchBang iso, but in my case, with using Easy2Boot, it just boots straight into the live session, skipping the (grub-like) boot screen/menu. Is there any way to boot straight into the install script/session. 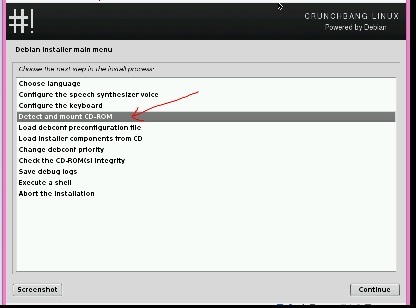 I think CrunchBang has a similar (if not identical) install system as Debian. Edited by andoru, 09 February 2015 - 10:07 PM. Edited by andoru, 13 February 2015 - 12:09 AM. 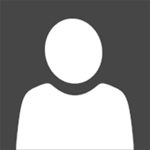 Did you check the 'List of tested payloads' list on the E2B site? This leads you to a .txt file in the sample .mnu Files folder and a blog post. Where's that shell? What's /dev/sdb4 supposed to be, a partition on the pendrive? I also tried to append a .mnu file and write in it what was in that blog post, but it boots the same way as loading the iso file directly from the menus. Use blkid to find the iso9660 device (sdb is the 2nd disk, 4 is the 4th partitions) - depending on how many drives you have in your system, it may be sdb4 or sdc4 or sdd4, etc. Once the mount command is successful (no errror), type exit to get back to the GUI. Then choose the 'redetect CD' option. Well it shows the menu fine for me. Did you try booting it using QEMU? Also tried it on a laptop, and again, same results. So I'm guessing it might be a problem in the way E2B is configured on my pendrive? Edited by andoru, 15 February 2015 - 09:25 PM. Are you using grub4dos 0.4.5c or 0.4.6a? Are you sure the file is contiguous? What exact ISO are you using and what is the CRC32 value for it? Are you using grub4dos 0.4.5c or 0.4.6a? I don't know, I can't find any changelog text file on the pendrive, not even where grub4dos is actually placed. Why should this matter at all in this case? And yes it is contiguous. Will do, although I'm not using Windows... so I'll just overwrite the files already present on the pendrive. There was a bug in grub4dos 0.4.6a which did not report an error if the file was not contiguous - that is why I asked. It was fixed today! If you are sure the file is contiguous then that cannot be the problem. I have the same ISO (MD5 matches) and it works fine, so I am not sure why it is failing for you. Using the beta now it works. Don't know what changes between those two versions you've made enabled CrunchBang to boot properly, but apparently it works. Does it work for you on the stable version as well?